Coach Rowland, a graduate of West Georgia is in his 28th year of teaching/coaching. This is his 21st year as the Head Baseball Coach at Pope High School. Formerly, he was an assistant baseball coach at Shamrock H.S., in Dekalb County and Mt. Zion H.S. in Carrollton before coming to Pope. The Georgia Dugout Club selected Coach Rowland as the “Assistant Coach of the Year” in 1993. He was also chosen on four different occasions to coach the Georgia Dugout Senior All-Star teams. In 2002, he was selected as an assistant coach for the Senior Team Georgia that won the gold medal in the prestigious Sunbelt Classic held in Oklahoma. 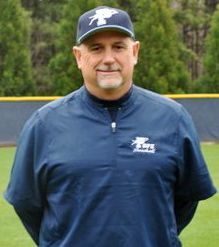 In 2009 and 2013, Coach Rowland was chosen as the Braves 400 Club “Coach of the Year” as well as “ Coach of the Year” by the GACA and Georgia Dugout Club for leading the Greyhounds to State Championships in both years . Coach Rowland was Inducted into the Georgia Dugout Hall of Fame in 2016. He has seen 81 of his seniors go on to play college baseball the last twenty years as well as 18 going on to play professionally. Coach Rowland was also the Head Wrestling coach at Mt. Zion and Shamrock. Further, he has been an assistant football coach at all three schools, Mt. Zion, Shamrock, and Pope. Coach Rowland is married to the former Suzanne Short of Canton, Georgia and is the proud father of two children Matt and Haley. Born in Boise, Idaho, Coach Zarbnisky attended Borah High School where he played football, baseball, and wrestled. His team won the State Championships in 1981. He was selected as 1st Team All-State Second Baseman in 1981. Daryl went on to play college baseball at MiraCosta Community College in Oceanside, CA. In 1983, he received a scholarship to play at Auburn University. Daryl graduated from Auburn University in 1986 with a degree in Health and Physical Education. Coach Zarbnisky taught physical education and coached football, wrestling and track in Dekalb County at Henderson High School. This is his 18th year of coaching baseball at Pope High School. In 2009, Coach Z was selected as the National Baseball Assistant Coach of the Year for Area 3. Daryl is married to Nancy and they have two children, Braden and Kayla. Chris Turco, a 1998 graduate of Pope High School, returned to his alma mater in 2003 to teach social studies as well as assist with coaching the baseball program. He was named the 2007 AAAAA baseball Assistant Coach of the Year by the Georgia Dugout Club. 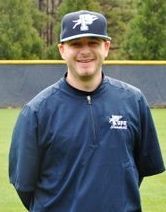 Upon graduation from Pope, Turco accepted a baseball scholarship to Presbyterian College in Clinton, SC and continued his baseball career while pursing a bachelor’s degree in Social Studies. In his four year career with the Blue Hose, Turco was named a South Atlantic Conference All-Conference performer. Upon the completion of his playing career, Turco also hired as an assistant coach with Presbyterian College where he worked with hitters, outfielders, and helped to oversee recruiting efforts. Turco assisted in leading the Blue Hose to the South Atlantic Conference championship as well as Presbyterian College’s second ever berth to the NCAA tournament. 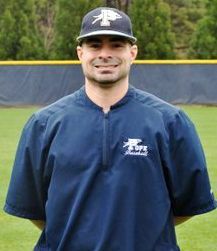 Turco has served on the Pope baseball staff since the 2004 season and in that time, Turco has helped to lead the Pope baseball team to the state tournament 7 times while capturing 3 region championships and 2 state championships. 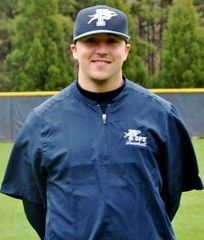 During his tenure, Turco has served the Greyhounds in multiple capacities working with outfielders from 2004 – 2006, catchers from 2007 – 2010 and 2012 – 2013, serving as assistant hitting coach from 2004 – 2006, lead hitting coach from 2007 – 2010 and 2012 - 2013, and working as the programs pitching coach for a lone season in 2011. 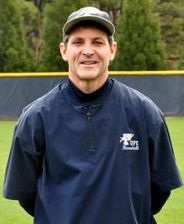 During Turco’s 11 years working with the Pope offense, 7 of the team’s he has worked with have posted batting averages that place them in the top 11 offensive teams in Pope history with the state championship team of 2013 posting a batting average over .360 and besting the next best season batting average by 17 points. Turco’s lone season as Pope pitching coach saw his pitching staff post the Greyhound’s 5th best team ERA in history. Turco notes his coaching highlights at Pope are capturing the 2009 AAAAA baseball state championship and the 2013 state championship. The 2009 season was particularly special as Pope was a top 10 team in the nation ending the season being ranked #10 nationally by Baseball America. The 2009 team set a program record by winning 31 games. Turco is also the head coach of Pope High School's fastpitch softball team where he has led the Greyhounds to the state playoffs five times in his 7 years as coach. Turco’s teams have finished in the final four the last three seasons with the 2012 team finishing state runner up in AAAAA, the 2013 team finishing 4th in the state in AAAAA, and the 2014 team captured the programs first ever State Championship and the first ever state championship for Pope High School in the AAAAAA classification. Turco resides in Woodstock with his wife Niki, and son Wyatt Turco. Coach Savransky is a graduate of Ohio State University. After graduating from Ohio State; Coach Savransky worked in Sports Marketing for the University of Florida Athletic Association, and Wake Forest University Athletic Association. 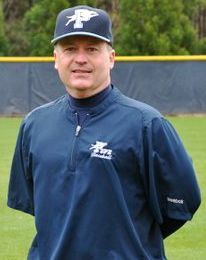 In his 5th year as JV baseball coach at Pope, Al has coached youth baseball in East Cobb County for the past 11 years. His successes include teams that have won a World Series, 8 age group State Championships, and he was named 2004 East Cobb Baseball Coach of the Year. In addition to devoting his time and effort to coaching baseball, Coach Savransky is also a wrestling coach at Pope. Baseball “runs in” the Savransky family; Al’s father “Moe” was a pitcher for the Cincinnati Reds in the 1950’s. Coach Savransky is father to Michael, and Ally. Born and raised in Marietta, GA, Coach Martin attended Pope High School where he played three years of baseball. Brandon graduated in 2000 and went on to play baseball at Gardner-Webb University. At Gardner-Webb, Brandon majored in Sports Management with a minor in Communications. In the spring of 2005, Coach Martin received his degree from Gardner-Webb. It was the summer of 2005 when he began his professional baseball career, signing with the Kalamazoo Kings. In that season they won the Frontier League Championship. Assistant Coach - Michael Nelson. Michael grew up in Roswell after moving here from Houston, Texas in 1988. He attended Lassiter High School and played infield under legendary coach Mickey McMurtry from 1995-1998. He was a part of the program for two state runner up finishes in '95 and '97, and his senior year was the defensive award recipient. While in high school he won 3 national championships as an East Cobb Astro, one as an 18 year old with Chris Turco. Michael went on to play college ball at Georgia State University from 1999-2002, where he was a 3 year starter as an infielder for Michael Hurst’s Panthers. In 2000, the team set a team record for wins in a season and Michael was named to the All-Conference tournament team. He was given the Defensive MVP award; all 3 years he was a starter. After graduating in 2003 with a degree in Business Management, he went back to coach as an assistant coach/recruiter for Georgia State in 2005 and 2006. The '05 and '06 teams were the first teams to make back-back conference tournament appearances. In 2012, his first year with Pope, Michael was an assistant coach and helped the Greyhounds reach the Elite Eight. Also in 2012, Michael helped coach the Pope Greyhounds fast pitch to a Region Championship and a State Runner Up finish in Columbus. In 2013, he was an assistant coach on the region and 5A State Championship Baseball Team. Michael coaches at 6-4-3 DP with Brandon Martin in the fall and summer, and works for Clinton A. Harkins, P.C. in Marietta, Ga. He is married to Carla (Townsend) Nelson and currently resides in Woodstock, GA.
Coach Lotz was born and raised in Marietta, Georgia. He is a graduate of Pope High School and played four years of baseball for the Greyhounds. His was a part of the 2009 State Championship team that was also ranked 10th in the Nation. After graduating from Pope he attended Georgia Perimeter College where he received his Associates Degree before transferring to Kennesaw State University where he is currently pursuing his Bachelors in Health and Physical Education and a Minor in Coaching. Outside of baseball Coach Lotz loves being in the outdoors, camping, and backpacking. In 2008 he achieved the rank of Eagle Scout.